You could call me a church hopper. From all appearances I am. My early years were spent within the cocoon of conservative Lutheranism-Sunday School, Parochial School, family traditions. When I went off to college, I began to explore different church options. I discovered a preference for the simpler worship styles and the lack of denomination ties of the non-denominational churches. I’ve also moved a great deal, so often searching for a new church has been part of the process. My husband and I have actually become quite good at recognizing the church we will eventually attend from the very first visit. However, some of our changes to other churches have not involved a move, but rather, church divisions, disagreement with how they handle difficult situations, or simply the direction a church is going. We sense the time to leave and we go. I stand accused before my critics. I am guilty of the sin of church hopping. To be honest, I do not feel guilty before God. He knows me. Intimately. He knows me better than I know myself. He knows why I have chosen certain churches and He knows why I have left these churches. I don’t want you to get the impression that my motives have always been pure. Probably not. But often, I would not have left if I didn’t feel the pull of His Spirit, or what I sensed was His Spirit leading me to the next place. I really think it’s between God and me. I really think it is my lot. I’ve not regretted any church we have been in. I have only benefitted from these experiences. Each church has given me more understanding of God, His people, and this large umbrella of doctrinal standards that encompass the Church. Going to these churches has softened the edges of my black and white thinking. I’ve not always agreed with some of the doctrinal stances, but I understand that God is bigger than some of my theological leanings. So what does this have to do with beginnings? 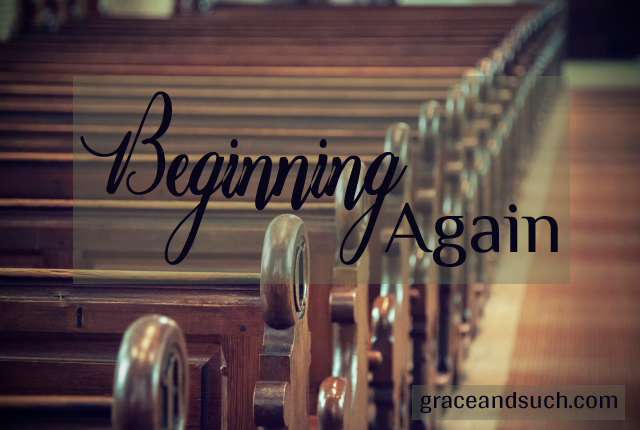 In this New Year, my husband and I find we are beginning, again, in a new church. Since we left our former church we have floated around looking for the place where God would have us, where we might be able to serve. For over a year we have not had a sense of belonging. We’ve had a reluctant year of resting. In retrospect, it’s been good for us, but we are ready to engage again. [pullquote width=”300″ float=”left”]However, there is something about the newness, the unknown, when beginning in a new place. There is a mystery, a hope, and an excitement in the possibilities. [/pullquote]To be more honest, it is not easy to start again. It’s not something I really look forward to doing. We have to spend time earning the trust of people in the new church. They need to get to know us and we need to know them. It’s a long process, and we’re not getting any younger. However, there is something about the newness, the unknown, when beginning in a new place. There is a mystery, a hope, and an excitement in the possibilities. Meeting new people and wondering how God is going to stretch us in this new situation. 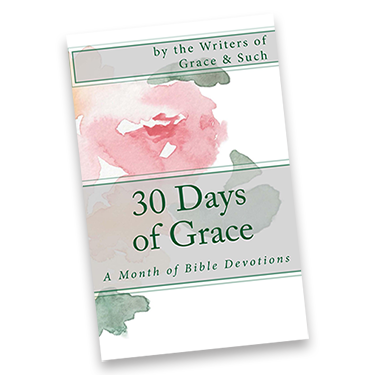 What will God add as markers in our spiritual journey? Is this where He’ll use us to be part of the advancement of His Kingdom? I covet your prayers as we begin, again. Perhaps God will park us here and give us new names… from church hoppers to long time members. I think a true church hopper is one who goes from one to another to another without really seeking God’s direction. Sometimes he wants us somewhere else and it’s only between us and him – no one else. Praying for you guys. Church hoppers can’t sit still, can’t rest. The fact that you are resting, waiting for God to direct is a further indication that hopping is not what you are about. For those of us who know you well, we know. You like to settle in and expand where you are planted!! I join the others in praying that this new one is a good place for you guys to put down roots! I love that you’ve taken time for rest and reflection. To be still. To listen to God’s voice and to know that He’s the one who knows your heart. Praying that you find connection in your new church family.